Martellus Bennett celebrates with Patriots cheerleaders. HOUSTON — On the Monday of Super Bowl week, the NFL held its annual media day at Minute Maid Park, the downtown home of the Astros. In the outfield, the league set up 11 podiums for in-demand players and coaches to hold 11 pseudo press conferences. Tom Brady, Julian Edelman, Bill Belichick and the like. They spoke into microphones and had their faces projected onto a big screen as legions of cameras and reporters jostled to get a shot or ask a question. That left the rest of the players and coaches to roam the outfield or sit in the stands while reporters picked them off one by one. But there was one notable exception. Martellus Bennett, the Patriots’ tight end, strode onto the field wearing a sweatshirt, three gold chains, and a NASA hat—one of eight such hats he owns—and was immediately swarmed by a group of more than two-dozen reporters. 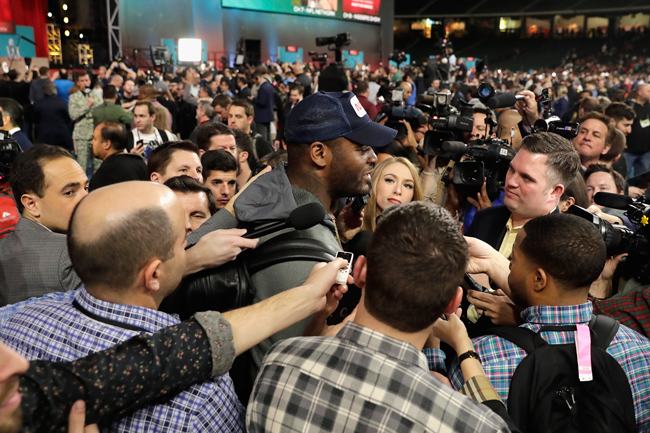 Of the roughly 60 Patriots players and employees there, Bennett was the most likely to answer questions honestly, give a good quote, or make a headline. He’s a thoughtful person who is apt to say something controversial, funny, smart, or all of the above. Being a Patriots beat writer and missing a Bennett press conference is akin to journalistic negligence. This season alone, Bennett had a number of memorable moments. 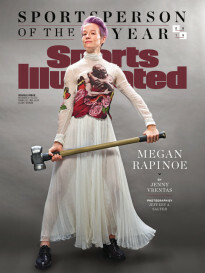 There was the time he said he wanted to be paid in gold; or the time he compared being on a winning team to losing his virginity; or the time he raised his fist during the national anthem; or the time he said he channeled Luke Cage, a fictional Marvel superhero, in forcing himself to play through an injury; or the time he tweeted at NASA (he’s a big fan) and got himself invited to tour their facility; or the time he gave Johnny Manziel a ticket to the AFC Championship Game. When the Patriots traded for Bennett last offseason, pundits wondered how he would fit into the culture. Would he embrace the so-called Patriot Way? The Pats were his fourth team in nine years. He had been labeled a distraction at times, and Belichick has a reputation for not tolerating antics. He has a three-word motto branded all around the Patriots’ building: Do Your Job. Whenever Belichick had acquired a player with a loud personality in the past, that player usually conformed very quickly or was soon jettisoned. Bennett not only fit in but also flourished with the Pats. He caught 55 passes for 701 yards and seven touchdowns in the regular season, and he was a stabilizing force after Rob Gronkowski went on season-ending IR with a back injury. On the outfield grass in Houston, a reporter asked Bennett how he and the Patriots co-existed so well? In other words, how did one of the NFL’s most outspoken players thrive while playing for one of the NFL’s most authoritarian coaches? Bennett trailed off, thinking about all of the presumptions people had made about him over the years. Martellus Bennett holding court with reporters at Minute Maid Park in Houston. A year ago, when Bennett called his parents to say he’d been traded to the Patriots, they had a visceral reaction. The Patriots? Really? They’re the enemy! Pennie and Michael Bennett Sr. are sitting at their dining room table in Katy, Texas, about 30 miles from downtown Houston. Pennie has been running around the last few days, sweeping and tidying the house for all the family coming to town. Michael Sr. just filmed an interview at a local barbershop with the two boys, which was as entertaining as you’d expect. Now he’s bouncing one of his granddaughters in his lap, with a big gold watch on his wrist, and she’s wearing a shirt with the boys’ faces on it. They’re basking in all of the hoopla of Martellus playing in his first Super Bowl. Rooting for the Patriots took some adjusting, Martellus’s parents say, but they never worried about him not fitting in. He never really had an issue with authority. As the boys grew up, they had Pennie, a schoolteacher, as a disciplinarian. If the boys didn’t do their chores, they got fined a nickel, then a dime, then a quarter. If they misbehaved, they had to look up words in the dictionary. As a last resort, Michael would be banned from watching TV and Martellus wouldn’t be allowed to play outside. “He would rather take a beating—and I would never hit them—but he would rather take a beating than not go outside,” Michael Sr. says. Martellus’ biggest vice growing up, his father says, was staying out past curfew to play basketball. “Sometimes you read stuff and people say something about Martellus’s character—that really bothers me,” Michael Sr. says. “I’m like, what’re they listening to? When he was on Hard Knocks, if he turned his head a certain way, they’d make a big deal of it. Seriously? This kid never brought any trouble anywhere. Never done anything wrong. He gets this type of treatment for simple stuff. Michael Sr., who passed down the boys’ ability to talk, always made sure they were accountable. One summer when the boys were young, Martellus started a lawn-mowing company and hired his brother. One day, Michael came home saying that he had been working on a lawn all day and the customer wouldn’t pay him. Michael Sr. went to the man’s house, saw the lawn in disarray, and hired a company to properly mow it. Michael Sr. humbled Martellus, too. By the time Martellus was in high school, he could dunk and was one of the better players on the varsity team. Michael Sr. would bring him to adult league rec games around town, using his youngest son as a ringer. The other players had no idea that this new 6-foot-5 player dunking on everyone was only a budding teenager. Martellus reached that conclusion all on his own, and maybe that’s the best way to teach or coach him: give him guidelines, set expectations and let his work ethic and pride take over—without forcing him to change his personality. That seemed to be Belichick’s approach, whereas, the Bennetts say, other coaches in the past tried to be a strict father figure to Martellus. 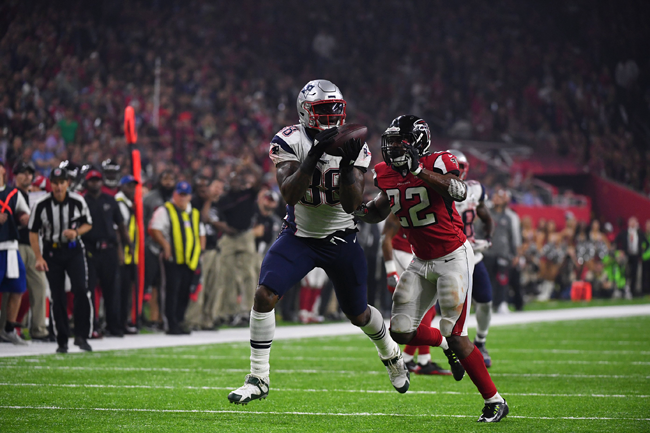 Martellus Bennett makes a catch against tight coverage in Super Bowl 51. The Patriots had no problem. 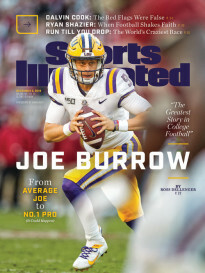 Bennett played in Super Bowl 51 on a broken ankle, caught five passes for 62 yards in place of Gronkowski, and helped Brady and Belichick win yet another ring. Then Bennett brought his young daughter to his postgame press conference and let her continually shout into the microphone. Now he’s a free agent, considered one of the best players available and certainly the top tight end. He’s expected to be in such high demand that he’ll probably be out of the Patriots’ pricing range. Bennett’s first “free agency” came during his senior year of high school, when he was choosing a college. Bennett was a 6-foot-7 athletic specimen, the top tight end in the nation and a top basketball recruit. He had Kansas, Duke, Texas, Oklahoma, and Texas A&M all chasing him. While Texas A&M coach Dennis Franchione visited Bennett, Bennett’s phone must’ve rung 60 times. Once Franchione finally got Bennett to College Station, he thought the trip went great. Bennett seemed to like the campus and the program. He ended up in the student section during the game, dancing with the cheerleaders and leading the band in the fight song. Bennett verbally committed to coming to A&M. There was one problem, though: Bennett said the same thing to other schools. This was part of the deal, though. If you wanted Martellus, you’d have to take Marty, who has always been fun-loving, good-natured and a bit unpredictable. 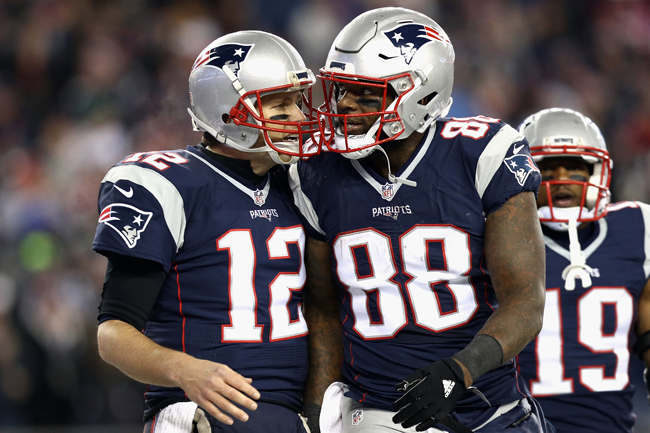 Tom Brady and Martellus Bennett. Last September, one day after practice, Bennett started talking loudly to himself as he left the locker room. At that point, the room had mostly cleared out, except for a handful of players and two-dozen media members, including me. From what I remember, Bennett sounded as if he were delivering a monologue in a Shakespearean drama. When he finally finished talking, Devin McCourty, one of the more respected veterans in the locker room, laughed and said something along the lines of: You’re stupid. But the monologue sounded similar to something Bennett might have performed as a senior in high school, at Alief Taylor High. The star athlete was also one of the most active participants in Kim Schultz’s English class. If they were reading Shakespeare aloud, he’d act out voices for all the characters. Or if someone else were reading, he would interrupt with an observation about the story. Did Martellus actually have a poodle? That just meant that Schultz had to sometimes nudge him to remain on task and be productive. In the end, his papers were well written and his comments were insightful. He was one of her better students. For one project, she assigned students a Canterbury Tale and asked them to come to school dressed in character and present the story to the class. She assigned Bennett Chaucer, the author of the Tales. He showed up wearing a long sheet, supposedly simulating an old-timey robe, over his regular clothes. Schultz was dubious of how his presentation would go. It looked as if he’d thrown the costume together on his way out the door that morning. Schultz now teaches at another high school in the Houston area, and she has lined her back wall with hundreds of photos of students she’s taught over the years. 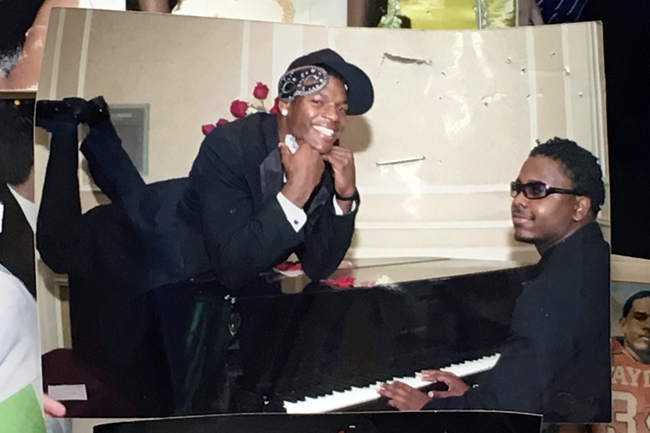 One of her favorite pictures shows Martellus Bennett in a tuxedo, at his senior prom, lying belly-down atop a piano and smiling from ear to ear. — With reporting by Greg Bishop.